Web Hosting plays a significant role in the performance of a blog and thus I took a nice opportunity to write A Small Orange review as I’m its existing user. Every passionate blogger and digital marketer know the importance of buying a reliable web hosting service provider for their site. Yes, the hosting service that you choose would play a pivotal role in the success of your site. If you pick an unreliable web host, then it would nudge you face security threats, negative SEO impacts due to slow loading site & frequent server down, no backup, revenue loss and much more. While choosing a web hosting company for your site, you should consider looking several aspects like Server Uptime, Data transfer capability, Easy to use control panel, Specialities & Add-ons, Customer Reviews, Security features, Multiple domains hosting options, Refund and Renewal policies. In this post, I would like to explain the features and pricing plans of ASO so that you could understand its spirit in serving the best service for its users. A Small Orange (ASO) is the best hosting service provider that successfully served thousands of customer around the world until now. It has been established in the year 2003 to offer dynamic hosting service and best possible customer support for the users. Ryan Macdonald is the director of technology who have 15 years of experience in the web hosting industry, and he is a bonafide Linux geek as well. ASO has highly trained staffs to solve the hosting issues of their clients, and it provides additional services to complement the current hosting solution. As this reputable web hosting company uses unique power-saving servers, it is considered as one of the Green web hosting companies with lowest carbon footprints. Running on their core values like the relationship, integrity and dependability is the remarkable mania that makes the users feel a part of the family. Let me reveal the remarkable features in this A Small Orange review! ASO servers are exact players with SSD storage as they could boost the performance of any web application. If you host the sophisticated applications that require additional resources, you will not face the reliability deprivation. However, you should keep in mind that the extra resources may need high bandwidth and upgrade your hosting plans. The company offers 99.9% uptime guarantee as its hardware based on SSD in RAID protected configuration. You should aware that the ASO has recently been acquired by EIG and faced a few hiccups, but it is still managing well to provide a great value for its customers. Having an extremely functional, easy to use interface makes the ASO users to feel comfortable in managing their site. Any websites like E-Commerce, Education, and Magazine based site can be hosted here and employ several helpful tools to enhance the performance. Unlimited Email accounts with quick access, FTP manager, CloudFare security, Metric features, well-written guides, Advanced options and Other preferences adds easiness quality to ASO. In today’s digital era, securing our data is more important as the hackers seem sturdy with trendy pinching technology. However, you never need to worry with ASO since it provides daily backups with multiple restore points. Also, it features password-protected directories, IP blocking, and hotlink/leech protection. The Business and VPS hosting plans have regularly scanned, PCI Compliant servers and gives free SSL certificate as well. To grant the best speed for the users, ASO maintains two distinct data centres in the US (Texas & Michigan) with carrier-neutral networks and essential amenities. Both are well-established centres with outstanding safety and support that you would not expect from another hosting service. ASO have plans for almost every type of website! Check their reasonably priced hosting plans. 1. Control Panel – To update and control your site. 2. Email – POP3, IMAP and webmail access with virus filters. 3. Weebly website builder – A simple drag & drop web builder. 4.WordPress optimized servers – One-click WordPress installation and Admirable hosting experience. 5. Standard & Secured Environment – Server hardware is Intel Xeon E5 Dual Hex Core processors and solid-state drive (SSD) driven storage with improved security features. For high-traffic websites of all kinds, ASO offers three reasonable business hosting plans with the stunning features like Free SSL certificate, PCI (Payment Card Industry) compliant server, daily backup and uncongested server with essential resources, Full FTP access, phpMyadmin for database management. If you have e-commerce type websites, you may consider getting any of the business hosting plans of ASO. If you wish to resell the hosting service, you may select the suitable plan from the three different reseller hosting services, small, medium and large. These plans include all the basic features like custom access, security and flexible option to upgrade the plans at any time. You will get full root access in Cloud-based VPS ASO hosting and add resources whenever needed. It has tight security features than shared hosting and increased page load speed as well. Having automatic failover to afford 100% uptime and hassle free cancellation at any time are the notable matters of ASO’s VPS hosting. You can take the total control of the server with the dedicated hosting plan of ASO. You will be provided with the excellent support to setup, secure, track and control you server and thus, you don’t need to worry about the data loss, security updates, and other troubleshooting issues. Here, servers are built in a way to last longer and backed up by a securely controlled network. In Managed Hosting, the hosting provider will handle all the updates and security concerns, and you can stay focussed on your main business. ASO offers two unlike managed hosting, Clementine $45 (2GB RAM & 1 TB Bandwidth/month) and Clementine Plus $145 (8GB RAM & 5 TB Bandwidth/month) with higher level support. After getting a hosting service, you would like to create a stunning design for your website. If you don’t have any experience in designing a site, you may get paid help from the web design expert and build your site according to your preferences. Just choose the website demo from the list and customize the design by getting either the Standard ($799.99) or E-commerce plan ($1099.99) of ASO. If you have a limited budget for website designing, you may go with the web builder plans (Professional Plan Or Business Plan) to build your site with awesome features and without ASO branding. It is worth writing about the money back policy in this A Small Orange review! Yes, if you are displeased with the ASO hosting service and want to cancel your account within 90 initial days, you can get back your money. Previously, I was using the hosting service that does not support the CPanel option. 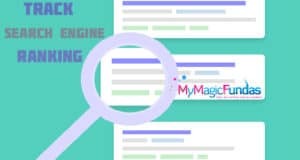 I always look for the ways to improve the performance of my blog and purchased ASO shared hosting. During the hosting migration process (from old to ASO), I experienced technical difficulties and struggled to move my files. Then I reached the support team to get the job done without any hassle. Both Email & chat support are excellent and technical team responded well to my queries. They took time to respond, but I received the prompt answers. I have been using the Shared hosting service of ASO since December 2015 and didn’t face any issues like server down, security threats and other technical hitches till now. What do I like in ASO? Following are my favorable qualities of A Small orange hosting! Easy-to-use and extremely functional control panel interface with Softaculous script installer. Uptime and Average server response time are quite good. No eyewash option like unlimited bandwidth. A variety of plans at the affordable cost. SSD drives for even Shared type hosting. Delay but friendly customer service. I don’t have any complaints with the support team; they are helpful. Free migration process to move your files from another hosting service. How can I choose the right web host is a million dollar question among the website founders because the loading speed of the site depends on the hosting service that they use. Moreover, choosing a poor or cheap hosting service would invite hackers to grab your valuable data, and you may not get SEO benefits as well. If you are looking for an honest web hosting with good customer support, you may consider getting A Small Orange hosting service. It has a variety of plans at a reasonable cost and their servers are coupled with excellent performance, top-notch security, immense uptime, good support team and great ease of use. 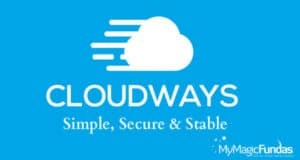 What is your viewpoint on this trustworthy hosting service, A Small Orange review? Are you an existing ASO user? Which web host service are you using? Do you get satisfaction with its performance? Share your opinion in the comment section. After reading my review of ASO, you may like to get this affordable hosting service. You may get it through the ASO Black Friday Deals 2016 to get maximum discount on all hosting plans for A Small Orange. You may also get the BlueHost Black Friday Deal 2016 as it is also a popular hosting recommeded by most of the probloggers. I’m using ASO shared hosting for the past one year. I didn’t face any technical issues till now. here's My Complete Review! Yes you can buy ASO at this time because this kind of offer you never get. Thank you, Swadhin for checking the details of ASO hosting. Yes, it is good till now and I thus I would suggest this server service for my loyal readers. Thanks again for sharing this post in social media, your kind support means a lot. Keep coming! I have used Godaddy Hosting having too much server downtime, now after reading all this i am defiantly going to try ASO. and Thanks for providing all this valuable information. If you are a devoted blogger, consider getting a reliable hosting service to avoid downtime issues. ASO is really good and you may go with it. Thanks for getting time to read my post, stay tuned! I am using ASO it is totally good with instant support, you can get support by chats. In just $5/month you can get hosting. So I think this is a very good plan. Good to know that you’re an ASO user. Yeah, its hosting plans are affordable and unfalling as well. Thanks for sharing your experience here, keep visiting! That 99.9% uptime guarantee is awesome. And important. I left old hosts because my blog was up 69.9% every day LOL. Seriously though, gotta have almost 100% up times to build a reputable, successful blog. Thanks for reading my ASO review and yes, its uptime is really good. I didn’t experience the downtime till now. Customer support is also excellent, and thus I’m recommending this cheap hosting service for the dedicated bloggers who have a tight budget. I’m delighted with your visit, keep coming. Enjoyed while reading the post. Really informative and helpful content. I have also used Godaddy Hosting Plans. Good that you are using the Godaddy hosting service, Pavitra Kumar. I would advise you grab ASO Black Frida & Cyber Monday Deal 2016 for 2 years. Mam this is something very informative post to grab on your web site. This looks something very promising. Something on which users could easily rely on to. Every feature you discussed about this looks very good. This definitely deserves a try. A plan that is very good for hosting a web site. Yes Shantanu, you read it right! ASO hosting plans have impressive features and the shared hosting is working well for me. Thanks for reading my ASO review, if have any idea to get the hosting service from A Small Orange, then you can get it through ASO Black Friday Discount 2016 to save your hard-earned money. Good to see you here and great that you too use ASO hosting. Thanks for sharing your great experience with A Small Orange hosting. Yes, it is working fine for me as well. Have a great day, today! is a small orange is better than others ? actually i am thinking to buy a hosting for my another WordPress blog but i don’t like down time so confused but i like this offer from you. Thanks for reading my review of ASO. I’m satisfied with the service and customer support of A Small Orange hosting. I have shared my experiences in this post and yes, I didn’t have any bitter experience with ASO. It is so far good and my blog performance as well. I would recommend this hosting, you may go with it. Feel happy to be hewre again after a while, I want to start by saying thank you for giving out this quality information. From the features you discussed above, I think I will give it a trial when next I have a client. 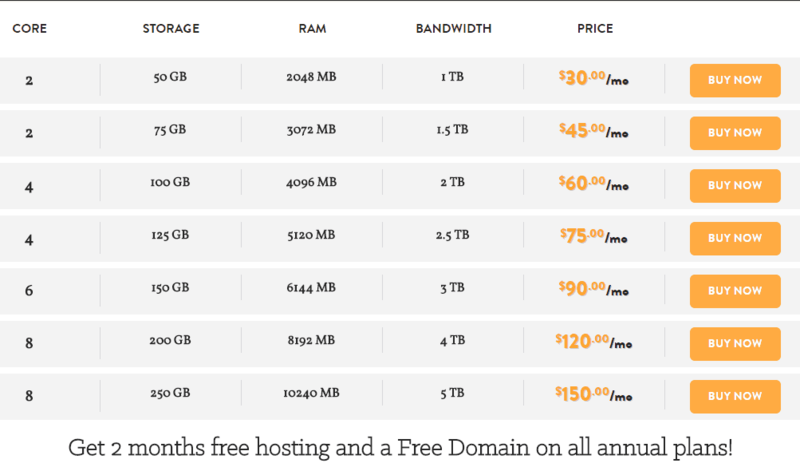 Good to know that you would like to get A Small Orange hosting. You may proceed, I don’t have any issues with this affordable hosting till now. The best idea is, you can get your preferred hosting plan through ASO Black Friday Sale 2016, so that you can save your money as you can get a huge discount during the shopping festival, ThanksGiving Day. Stay tuned! It was a very useful article. I had always tried Godaddy earlier but when ever traffic increases or I post more article, it really does get very slow which is very annoying. After reading this review I am definitely going to use ASO next time I upgrade. Keep up your hard work and thank you once again for this valuable information. If you still have a plan to get ASO hosting, get it today! A huge sale is going on today with 50% off on all hosting plans. 50$ per year sounds awesome.. Is that choice can be opted for sub domains also.. ?